In short, WordCamp Atlanta blew my socks off. It was a weekend full of thoughtful talks, bright folks from all over the world, awesome parties, and a lot of what makes the WordPress community so vibrant — diversity. Saturday afternoon, I had the pleasure to speak on Gutenberg block development. 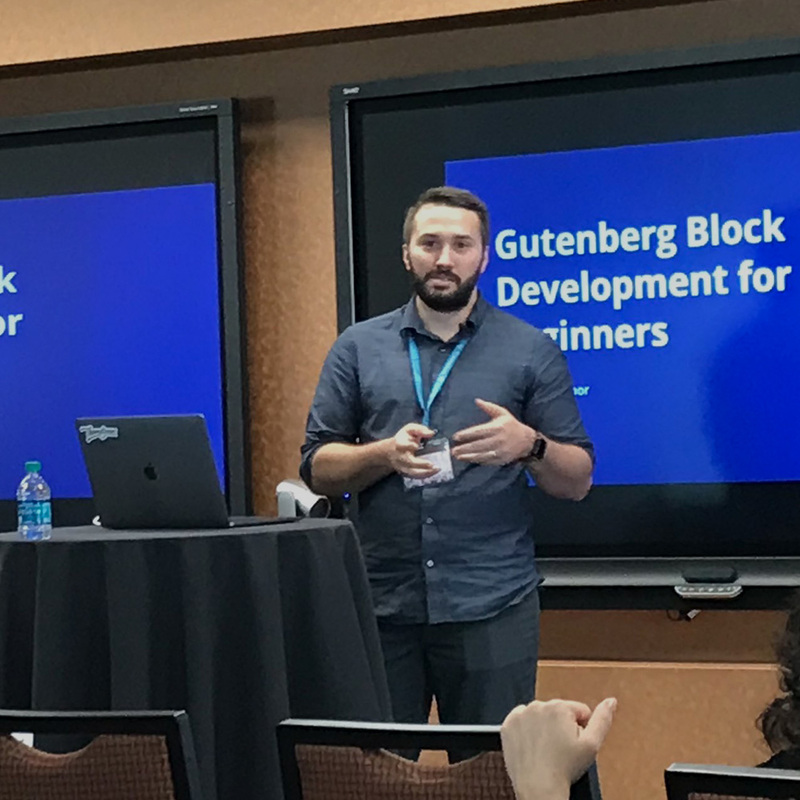 In fact, there were three talks on Gutenberg this weekend, not to mention a workshop dedicated to Gutenberg development on Friday! Ever since watching the Gutenberg demo at WordCamp US 2017, I’ve been diving into Gutenberg block development quite consistently. I’ve been working on Writy.io and GutenKit, two projects which wholeheartedly embrace Gutenberg, and I’m so honored to be able to teach folks what I’m learning along the way. 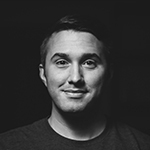 This was my first WordCamp talk — ever, so as you can imagine, I was super stoked! If interested, you may view and download my slides, and as soon as the session is up on WordCamp.tv, I’ll add a link to that as well. 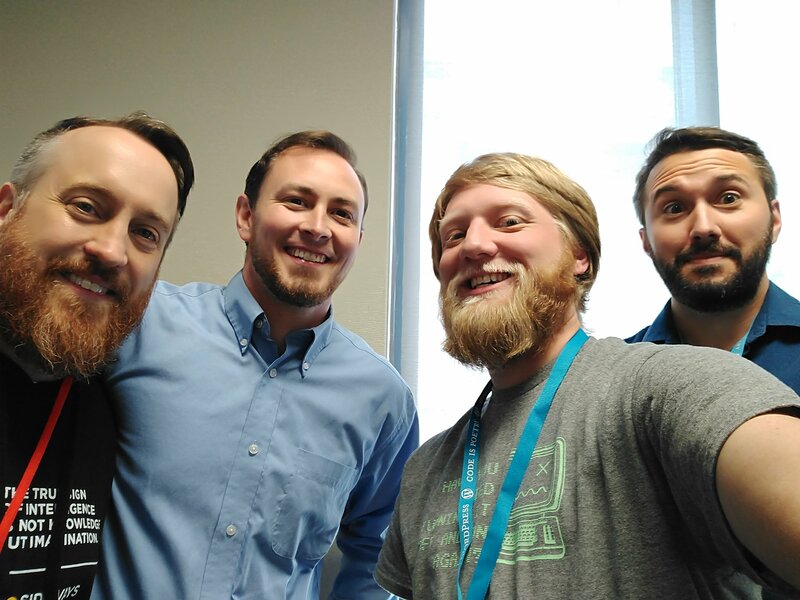 Friday morning, Aaron Reimann, Micah Wood, Evan Mullins and I (pictured in order below) kicked off the day full of Gutenberg development lessons. We talked about block development, how themes and Gutenberg will interface, matching WordPress themes and Gutenberg styles, React, development tools, resources and even more. It was an awesome time sharing with a room packed with folks looking forward to the future of WordPress. ?? I even gave a demo of custom blocks I’m developing for Writy.io & GutenKit , which was pretty well received. If you’re interested in either Gutenberg-centric project, you may subscribe for updates at each project’s website. 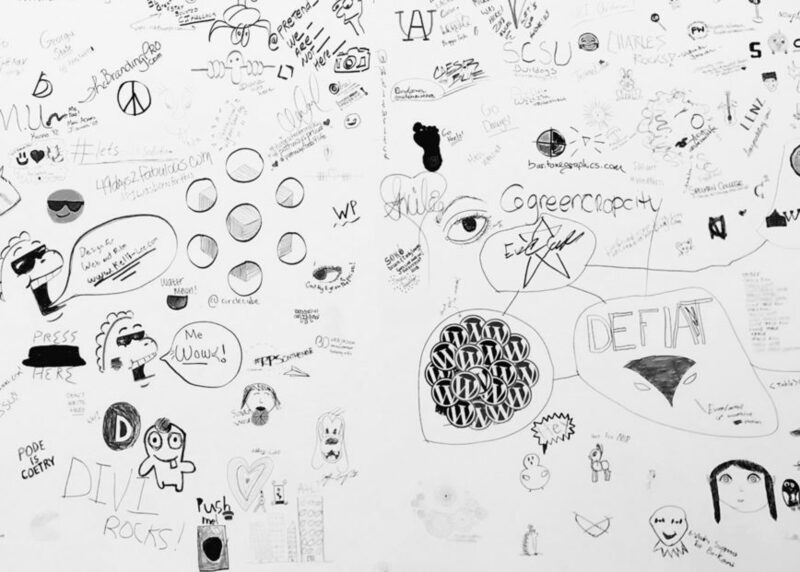 I couldn’t tell you how many inspiring snippets Aimee gave during her session on Saturday morning. There were dozens — at least. Having overcome so many tremendous challenges since her life-changing accident, Aimee shared that we are all so much stronger, and more capable, thank we really think. Aimee talked on how through her WordPress website, the greater community rallied together and supported her through such a challenging stage in her life. WordPress also powers the Aimee Copeland Foundation website, which is all about empowering people of all abilities. WordFence hosted the first ever capture the flag hacking competition, involving cryptography, web vulnerability and WordPress. There were a number of challenges with point values assigned based on difficulty. To everyone’s surprise, the competition’s third-place award was given to an eleven year old boy, who went by the handle “Unstoppable.” Unstoppable completed five challenges to take the third place spot. The future of WordPress and security is looking good! On Saturday I spent a good amount of time at the Happiness Bar. Many of us actually ate lunch there as well! It was honestly a great experience helping folks with their WordPress sites and I recommend it for folks looking to give back a little. All in all, I was blown away at WordCamp Atlanta — in fact, I’m already looking forward to next year! Of course, this would not have been possible without the generosity of the sponsors, organizers, speakers and volunteers. They all deserve a huge T H A N K Y O U and a nice quiet week to kick back and relax. So, glad to read all that — you had a lot of fun. That was my 11 year old son. 🙂 Thanks for the shoutout. The attention has made his month and really spurred forward his interest in all things coding/WordPress/tech. That’s awesome Jon, I bet you’re super proud of him! I can’t wait to see if my girls will be interested in WordPress one day. Being a dad is so fun! ? Great writeup Rich! I always mean to do one, but rarely actually do. Impressive and great to hang out at WC. Thanks Evan! It was a great time indeed!